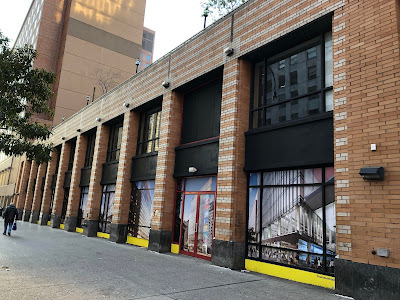 The first permit was filed last Thursday for the new building that will house the Union Square Tech Training Center (aka the tech hub and 14th @ Irving). Renderings for the tech hub arrived at the former P.C. Richard & Son property on 14th Street at Irving Place earlier this month. Previous reports on the building, including the city's own news release, listed the 258,000 square-foot project at 21 floors. Not sure what accounts for the discrepancy. The Schedule A on the permit shows that the 22nd floor is for elevator machinery rooms, the boiler room and the generator switchboard room. 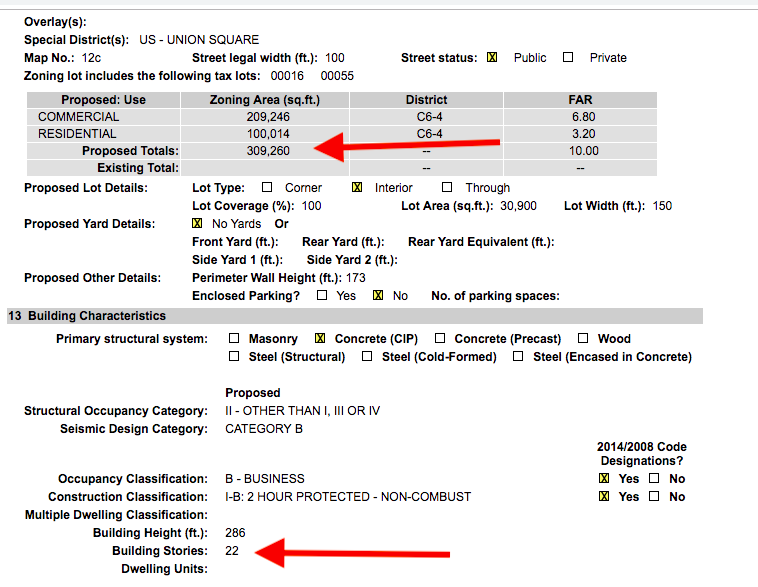 Meanwhile, there's nothing on file yet with the DOB about demolishing the existing building. As previously reported, the project is being developed jointly by the city’s Economic Development Corp. and developer RAL Development Service. 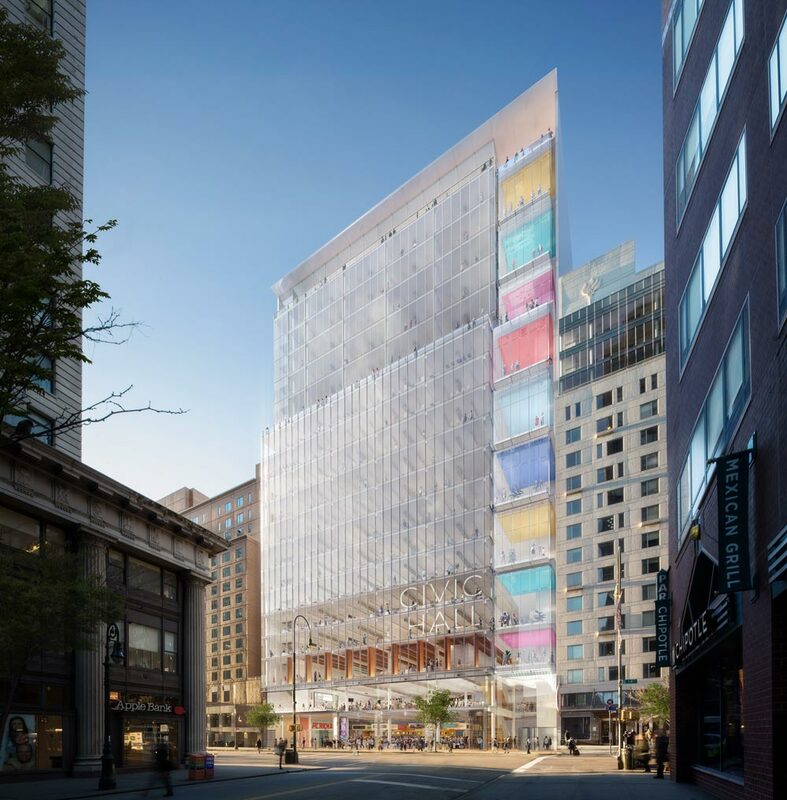 The building includes Civic Hall, which will offer tech training for low-income residents, as well as market-rate retail, office space and a food hall. The hub, initially announced in early 2017, passed through the city’s Uniform Land Use Review Process (ULURP) earlier this year, capped off by a unanimous City Council vote in August. 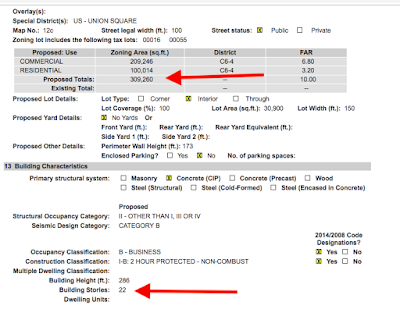 A rezoning was required to build the the 2122-story structure, which is larger than what current commercial zoning allows. The 14th @ Irving website states that construction will start in the first quarter of 2019, with the building opening in the fourth quarter of 2020. 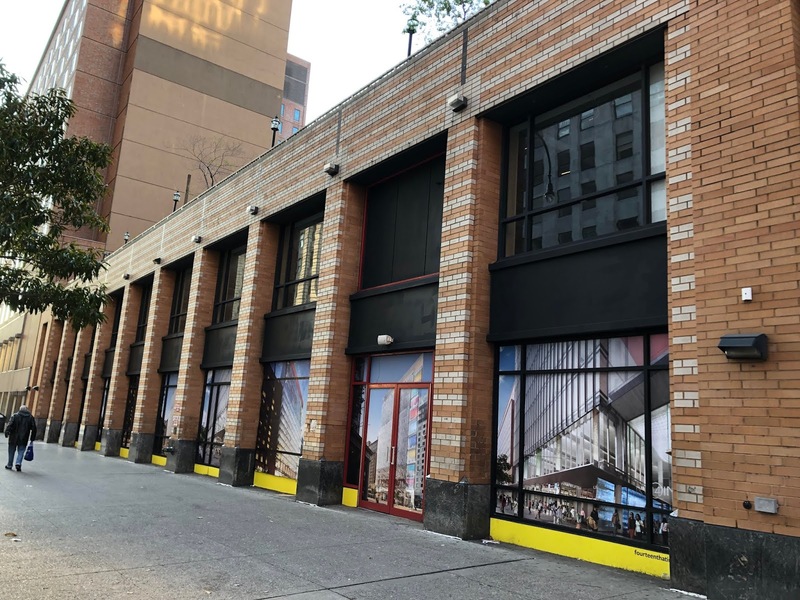 Construction on an already-congested thoroughfare will coincide with the L-train closure starting in April 2019, when 14th Street is expected to serve as a (mostly) car free busway for displaced subway commuters. I brought up the obvious traffic problem of tech hub construction during L train work at the initial community meetings and was assured it wouldn't be an issue. I said it would increase congestion even if there wasn't L train construction by taking up a lane for construction vehicles and got no answer. It's not going to be pretty. 14th Street is already Horridor (thanks, Giovanni) #2 thanks to construction work between Avenue C and 6th Avenue, with traffic narrowed down to one lane in many places along the route - on my morning commute it takes the buses 15 minutes to get through the intersection at 14th and 6th thanks to construction trucks taking up the right lane, and please let's not even talk about the eternally-parked cop cars at Union Square. And now this? How much more time am I going to have to allot to get to work once this behemoth starts production? Is there no one to oversee this insanity and at least try to do something about it? Never ceases to amaze me when marquee buildings going up in The Greatest City on God's Green Earth are ugly AF. Like, what, did all the architects feck off to Dubai and Singapore or something? You're going to blight downtown with superhypergentrification and you want to house it in THAT rainbow puke POS? Really, Mayor? Well, this is King Bill's and his minions'(read Robot Rivera) idea of "progressive" government. Just one more floor, Bill? C'mon, go ahead, make it 10. You know you want to. Good, it's 10. Hell with the people. Right. Yeah, what do they know. Stupid? OkOk. They did buy your lies. BAd on us. VEry bad on us... OkOk one is born every minute. We are all fucked. NYC is becoming something else, something unfamiliar and something I don't like. Brace yourselves. Change is upon us kidos. @Gojira. 14th Street is both a construction Horridor and a traffic shitshow, not to mention all the wackadoodle bus lanes they just painted. Combine that with the L train shutdown and you have the only crosstown street that’s guaranteed to increase your blood pressure 20 percent. What the city does not seem to understand is that the ongoing construction projects and transit problems create.a death spiral of problems that simply painting more bus and bike lanes does not solve. I expect DeBlasio to roll out the CitiScooter program any day now, or maybe Amazon will roll out a few thousand Segway stations or maybe oversized drones to fly people around, since the MTA is compleltey broken and people are abandoning the system in droves. They seem to think these new forms of self transportation are the answer, even in the rain and snow, But there are better solutions. The better solution would be to enable fleets of 10-12 passenger Uber, Lyft or Yellow taxi vans in Manhattan, kind of like the outer boroughs have always had, where commuters can hop in and out and get a cheap ride quickly. The vans could adjust routes for when subway lines break down, or when the busses are taking too long to arrive, or as passenger demand requires. The MTA could also integrate with Uber and Lyft cars to supplement their own broken down system. This is why NYU, SVA and other schools have their own bus lines now. It’s the only way to get their students to class on time. DeBlasio and Cuomo need to realize that they can’t just keep giving away tax dollars while allowing huge new condo and office buildings to be built without improving the available transportation options. The ‘free market” they seem to be depending on is only making these problems worse. It is their job to make things better. Or so I’m told. Exactly what Gohira, Giovanni and dwg said. Incomprehensible that they would allow this—actually push it forward—during the L train shutdown. 14th Street traffic is already slower than I can walk most times of most days. While we’re on that subject, I’d also advocate for removing all street peddlers on 14th Street blocks between Fourth Ave and University as they make pedestrian traffic a nightmare—maybe allot part of USqPark or move them to East Side University between 13th and 14th instead—and moving food carts off all 14th Street intersections. Those 14th St. lsidewalk vendors near Best Buy and Duane Reade really have to go. They really make it hard to walk during rush hour. If you’re trying to lock up a bike in the bike racks you can’t get by them on the sidewalk, and you have to go back out into the street. I can’t tell you how many times I’ve almost gotten hit by a bus coming by trying to do that maneuver. Also they are mostly selling crap. It’s the same people every day. Time for them to go.